Dame Mary Elizabeth Peters, CH, DBE (born 6 July 1939) is a former British athlete, best known as a competitor in the pentathlon and shot put. Mary Peters was born in Halewood, Lancashire, but moved to Ballymena (and later Belfast) at age eleven when her father's job was relocated to Northern Ireland. She now lives in Lisburn just outside Belfast. As a teenager, her father encouraged her athletic career by building her home practice facilities as birthday gifts. She qualified as a teacher and worked while training. In the approach to the Munich Olympics, her training was made more difficult by the IRA bombing campaign then going on in Belfast. Mary Peters' Women's Pentathlon gold medal, Munich Summer Olympics 1972. After Ballymena, the family moved to Portadown where she attended Portadown College. The headmaster Donald Woodman and PE teacher Kenneth McClelland introduced her to athletics with Mr McClelland her first coach. She was head girl of the school in 1956. In the 1972 Summer Olympics in Munich, Peters competing for Great Britain and Northern Ireland won the gold medal in the women's pentathlon. She had finished 4th in 1964 and 9th in 1968. To win the gold medal, she narrowly beat the local favourite, Germany's Heide Rosendahl, by 10 points, setting a world record score. After her victory, death threats were phoned into the BBC: "Mary Peters is a protestant and has won a medal for Britain. An attempt will be made on her life and it will be blamed on the IRA ... Her home will be going up in the near future." but Peters insisted she would return home to Belfast. She was greeted by fans and a band at the airport and paraded through the city streets, but was not allowed back in her flat for three months. Turning down jobs in the US and Australia, where her father lived, she insisted on remaining in Northern Ireland. Peters became a Trustee of The Outward Bound Trust in May 2001 and is Vice-President of the Northern Ireland Outward Bound Association. She is also Patron of Springhill Hospice in Rochdale, Greater Manchester. Peters was appointed Member of the Order of the British Empire (MBE) in 1973 for services to athletics, Commander of the Order of the British Empire (CBE) in the 1990 Birthday Honours for services to sport, Dame Commander of the Order of the British Empire (DBE) in the 2000 Birthday Honours for services to sport and to the community in Northern Ireland, and Member of the Order of the Companions of Honour (CH) in the 2015 New Year Honours, also for services to sport and the community in Northern Ireland. 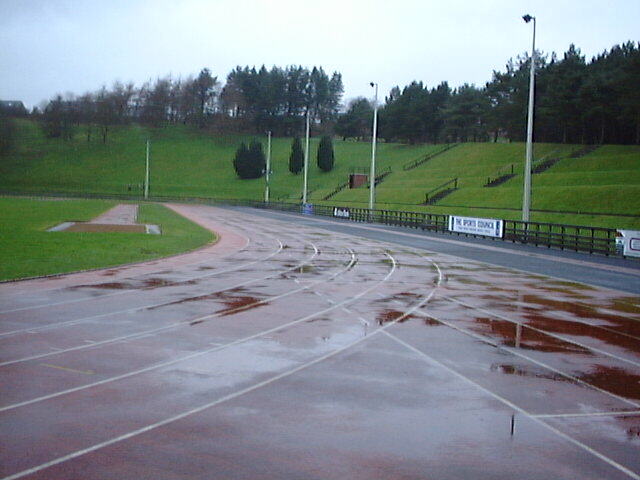 Northern Ireland's premier athletics track, on the outskirts of Belfast, is called the Mary Peters Track in her honour. In April 2009 she was named the Lord Lieutenant of the City of Belfast. Peters is a Freeman of the Cities of Lisburn and Belfast. ↑ The London Gazette: (Supplement) no. 45860. pp. 12–16. 29 December 1972. Retrieved 5 July 2012. ↑ The London Gazette: no. 52173. pp. 7–9. 15 June 1990. Retrieved 5 July 2012. ↑ The London Gazette: (Supplement) no. 55879. p. 7. 19 June 2000. Retrieved 5 July 2012. ↑ The London Gazette: (Supplement) no. 61092. p. N28. 31 December 2014. This page was last modified on 20 December 2015, at 19:30.